Panasonic has finally released UK details for its 37-inch LCD equipped Viera, two weeks after it made its debut at IFA 2007. 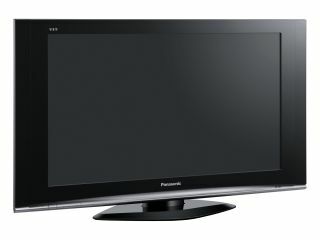 The 37-inch TX-37LZD70 is a bit of a departure from the norm for Panasonic, which has previously consigned LCD technology to 32-inch screen sizes or below. Key features of the TX-37LZD70 include proprietary V-Real Pro 2 technology, which is married to an IPD Alpha Full HD panel. Panasonic says this enables the TX-37LZD70 to deliver a wide 178-degree viewing angle with "high contrast and no fading" from wherever you view the set. The TX-37LZD70 also includes Panasonic's Intelligent Scene Controller that "reproduces vivid, natural images with pure blacks. This gives viewers beautiful, vibrant images with superb clarity depth". Other goodies include a 1080p Digital Remastering processor that optimises standard-definition TV and DVD images for viewing on the display. There's also Viera Link - a home networking technology that enables Viera Link branded products such as camcorders, DVD players and so on to be controlled using the TV remote. The TX-37LZD70 is available now for around £1,000. Full technical specifications can be found on the Panasonic UK website.